I've been living in Annecy, France now since the end of June and as someone that takes a keen interest in food, I've been watching how people around me eat constantly which may sound pretty boring but it's been quite interesting to see the difference between the French and British diet. 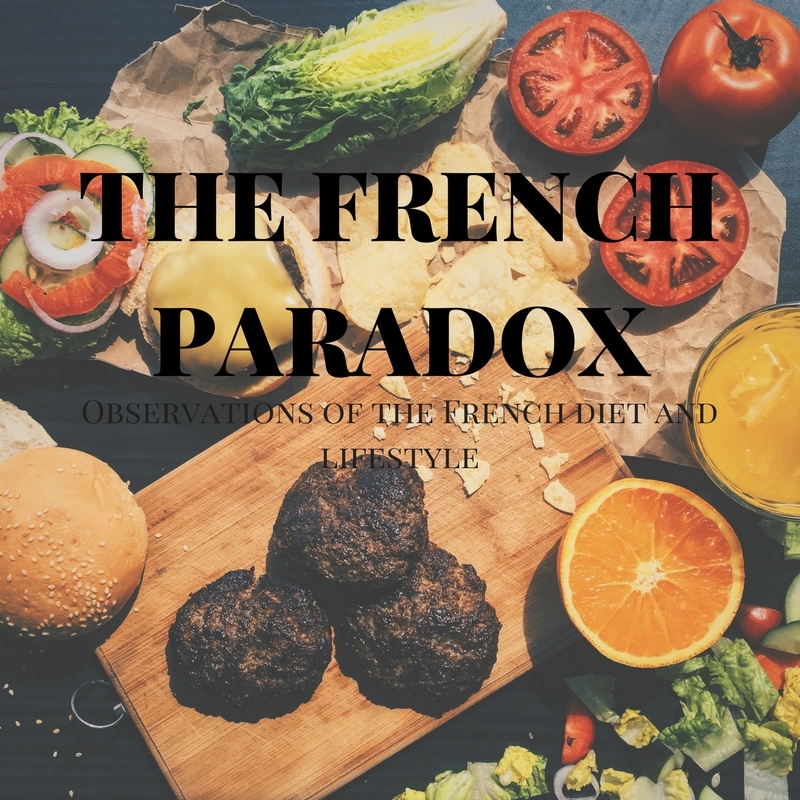 A lot of people go on about the 'French Paradox' of French people eating lots of cheese, bread and red meat without putting on weight and not having a higher risks of heart disease and obesity. I'm no medical expert so please don't go changing your whole lifestyle because of what I say but here are some of the reasons I think the French (well certainly in Annecy) appear to be healthier than us Brits. Everybody here exercises, and I mean everyone. On a Sunday morning you'll get up and everyone is either hiking up a mountain, going for a bike ride or doing some other kind of mad sport. Even in the office that I work at people go for a run on their lunch break or do some sort of outdoor activity after work to ensure that their body is moving after a static day in the office. Now i'm not quoting everyone in the UK, but most people I know go home after work and continue to sit down and watch TV which isn't helping. The people here take part in a lot of cardiovascular activities which is fantastic for the heart and burning calories which could explain some things. I try to eat as many veggies as possible but I don't love them. At lunch time here everyone fills their plate to the brim with all different types of vegetables. Although people may also have high fat cheeses and bread at lunch, these seem to be in moderation and the majority of the plate is taken up by vegetables. Therefore you can pack much more in because veggies are not very calorific but contain lots of good nutrients for the body. Yes people eat red meat and cheese and bread and croissants and chocolate, but they don't stuff their faces. In England the portion sizes seem to be much bigger, you can get extra large portions and you'll be eating far more calories than you realise. With there not being many fast food restaurants in Annecy it means there are a lot less options for takeaways but even during meals in the home, people don't eat masses of meat and cheese. Just enough to appreciate the quality and taste; quality over quantity. I can't speak for the whole of France as I haven't been everywhere but fresh and locally produced food is HUGE over here. So many people go to the market to get their food, there are plenty of cheese and dairy farms and even the supermarkets have sections dedicated to local delicatessens. This means that there is less chance of people eating processed foods and fruit and veg covered in pesticides. Plus, properly made cheese and yoghurt is full of bacteria which can be great for maintaining a healthy gut which we all need. So, although I don't have any scientific evidence to prove the French people are healthier than British, from what I've seen the 'French Paradox' doesn't seem to be a paradox at all. People just lead active lifestyles, eat a variety of fruit and vegetables and don't eat too much, seems simple right? Oooo this is so interesting. Especially the quality over quantity. What kind of veg do they eat? Glad you enjoyed it! And to be honestly anything and everything. Lots of salad and a lot of people grow their own vegetables so things that can be grown easily like courgettes and tomatoes. But they tend to eat a lot of fruit too!